Description: The IMA's Small Museum Convening is an opportunity for self-described small museums to learn, share, and network. Speakers, panels, and sharing time will combine in an inspiring and engaging day. What is a Small Museum? A small museum is defined by those who work there. It may be all volunteer run, or have one or two paid staff members. It may be small due to its budget or its staff size. Every person’s perception of and definition of “small” may be different but all are valid and all are welcome here. Creating a long-range or strategic plan can feel intimidating. The planning process itself has many benefits from opening up dialogue and identifying ways the museum can respond to needs in the community to strengthening relationships between board and staff and generating excitement for future projects. Making efficient use of volunteer leaders/staff and board time can help ensure that conversations are transformed into a written plan that becomes a meaningful document. Whether your board has already adopted a strategic plan or is struggling with how to begin, this presentation will give some pointers on how to keep the process moving. Melanie Alexander has twenty years of museum experience and an MA in museum studies from Seton Hall University. Alexander recently completed a $2.3 million facility upgrade project for the Muscatine Art Center, where she has served as Director since 2012. She has experience directing both art and history organizations of all sizes. 10:30 – 11:30 a.m. Panel: What it Means to be a Volunteer Leader. 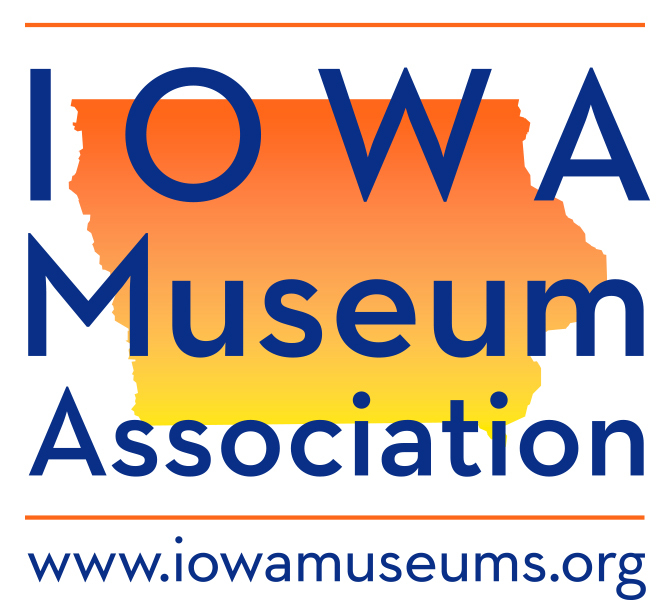 Facilitator: Dr. Heidi Lung, University of Iowa Museum Studies and President, Iowa Museum Association. • Pat White, Harlan-Lincoln House and Henry County Heritage Trust. 11:45 Lunch Buffet and Open Mic -Share a recent success story! Often, small museums have ideas for programs they want to try or projects that need attention, but a lack of funding can make the project seem daunting. Developing a plan to find the necessary support for your project is an essential component of accomplishing your goals. This presentation will explore how to look for, secure and manage resources that meet your museum’s needs. Carrie Eilderts is a graduate of the University of Northern Iowa, where she earned a B.A. in History in 2013 and an M.A. in History with a Public History Emphasis in 2015. She served as Assistant Director of The Sawmill Museum in Clinton, Iowa for two and a half years before she was hired as Executive Director of the Cedar Falls Historical Society in July 2018.